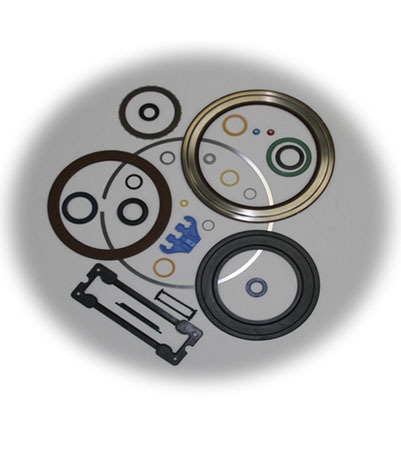 PMC Industries, Inc. has a long history in the bearing seal industry. It started in 1926, with Wasley Products, Inc., which spawned Precision Molding Inc. and then both those companies were part of the foundation for PMC Industries, Inc. Since 1926 we have been listening to customers and reinventing ourselves to meet their ever changing demands. If your new “widget” required precision rubber molding, rubber-to-metal bonding or Teflon bonding we are there. Our organization was one of the few thermoset molders who were qualified to meet Ford, Chrysler and General Motors demanding requirements. Compounds such as nitrile, EPDM, fluoropolymers, silicone, polyacrylic, polyurethane, natural rubber all were being processed to custom designs and in high volumes. Markets served were, of course the automotive industry, but also aerospace, off-road construction equipment, household appliances, office equipment, power tools, you name it! When the customers wanted a thermoplastic molded part, We simply brought the equipment in house to mold Delrin, Lexan, Santoprene, Zytel, Hytrel to meet those new specs. Our in-house tool shop made it easy to develop the single-cavity prototype tools and then the multiple cavity molds for the production runs. Although Wasley Products and Precision Molding have tenured their operations, PMC Industries Inc. possess the capabilities to continue to service and provide customers with the same high quality and on time deliveries for the broad scope of market needs previously supported by our legacy company. PMC Industries talents expand the scope of capabilities to serve other markets including the medical field with the manufacturing of positioning devices for operating rooms. Our parent company, Innovative Medical Products, with their historical success brings the vast knowledge of marketing and distribution that has made them the global leader in patient positioning devices. Our new generation team provides the market with the technical resources that can bring to all customers the quality ISO certified precision products to meet today’s high standards.